Treble booster with an OR50? Looking into getting a Laney Tony Iommi booster or the catalinbread naga viper booster and wondering has anyone used a treble booster with their Or50? I have a tube screamer and a klon clone which I love but wondering if the treble booster will have a different vibe? Re: Treble booster with an OR50? Treble booster is indeed a different vibe. They really need to be used with an amp that's already fairly distorted. The idea is that they push everything above the high pass filter cutoff, and they have a big upper mid hump in them. It's not so much a treble booster as it is an "everything but low end booster." If you like classic rock levels of gain, and you want something that will push that gain level over the top with a cocked wah type overdrive that has low end roll off, you'll like a treble booster. With the TS and the Klone, you clearly like pushing midrange with your boosts, so a classic treble booster circuit might be up your alley. Just understand that unlike the TS or Klone, a treble booster sounds terrible running into an amp that's not already overdriven. It cuts like crazy and has a great honk to it. I like them. I say check it out. I own both an OR50 and a treble boost and everything you read above is true. Very specific sound. I use it for some songs ( like Zep tunes) but not my go to boost pedal. 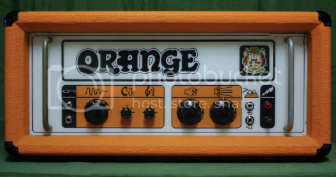 How is it different from a tube screamer or a klon type pedal? I use both my ts and klone pedals like a boost, volume maxed, tone in the middle and gain at 10 o clock or none at all.... is your treble booster have more knobs or just one for boost? Mine is a Keeley Java Boost. 2 knobs, Tone and Level . There's a mini toggle switch too, but I can't remember what it does. I played with it once, set it and left it. As far as sound, everything Nick said above holds true for me. It's a nasally upper midrange sound, almost like a cocked wah, but with a vocal/violin kind of texture to it. Other than that, it's tough to describe. You might be served well by checking out some youtube clips. The Dallas Rangemaster is the origin of most treble boost circuits. Many of the modern ones have voicing switches that allow for less low end roll off, or often have an option for full range boost. But a true treble booster rolls off the lows and boosts everything else. Here are a couple clips. It's actually tough to find clips of people using them correctly. I'm not particularly fond of either of these (never liked the top end on Dr Z's), but they're being used properly...with a distorted amp and humbuckers. I can do a clip of my booster, which is an old Germanium loaded HBE Germania. IMO, the Germanium transistor ones sound best. But they're a pain to work with because the power supply is reversed, so you can't run them on the same power supply as other pedals. You need to use a battery, or a dedicated power supply. Thanks guys.... I’m thinking it might not be the best sound for me if it’s more of a **** wah sound... and don’t get me wrong I love that tone but just not for me. Thanks again!!! Treble boosters are probably not for everyone. It is however probably a bit unfair to say they sound like a Cocked Wah. While they can indeed sound like that, most people who have used them didn't really get that effect. The OP is talking about Laney's Tony Iommi version. I thought that Iommi's original had been modified to make it more of a full range booster? No idea about the Laney version. Tony Iommi certainly didn't get a cocked wah sound. Other notable users are Rory Gallagher and Brian May. Both using Vox AC30s and both achieving a sound close to how I imagine an amp would sound just before blowing up. I think a better way of describing the sound is that it pushes the higher frequencies to distort more while the lower frequencies remain the same. When an amp starts to distort, it's the bass that distorts first. A treble booster fed into the same amp can be set so that all the frequencies sound like they distort more consistently. The successful user manages to balance the boost with the amp gain. My experience is I struggle to get them to work at lower volumes and rarely get opportuniy to play loud enough. I guess that’s the problem with descriptors, and the reason I tried to find some good representative videos. But even that was hard to do!